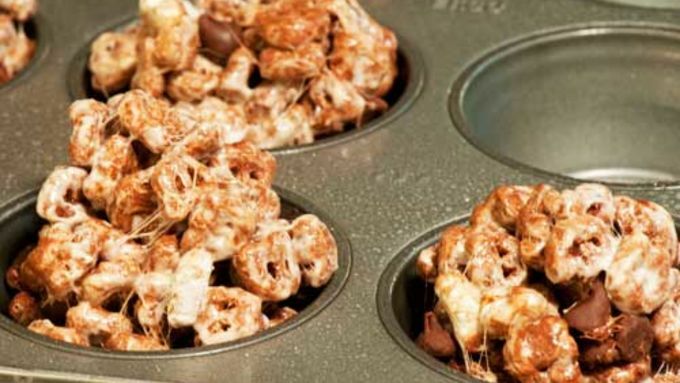 Grease two cookie sheets or 2 muffin tins and place each cereal in a separate, heatproof bowl. 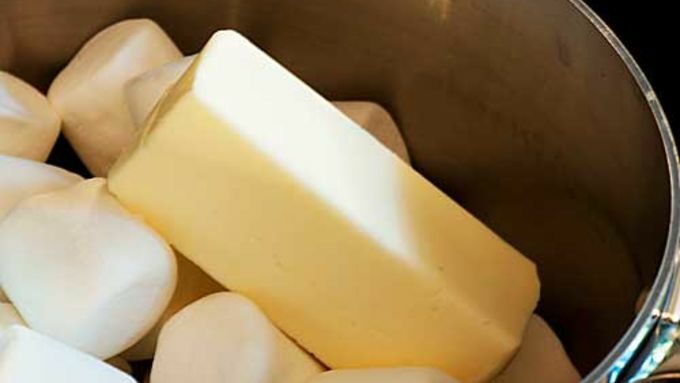 Heat the marshmallows and butter in a sturdy saucepan over low heat until fully melted, smooth, and glossy. 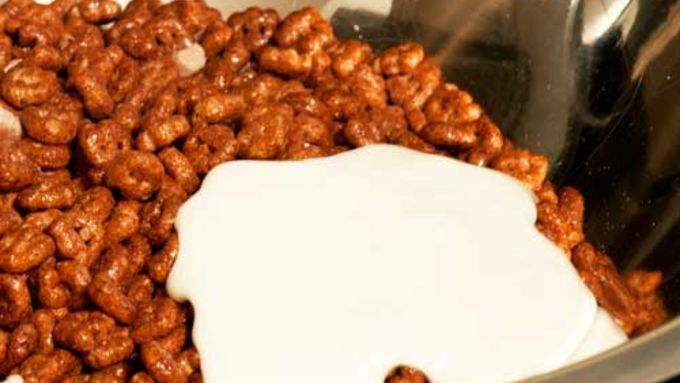 Working quickly, add 1/3 of the marshmallow mixture to one of the bowls of cereal. Mix well, then add 1/4 cup of the appropriate chips (chocolate for Count Chocula™, white chocolate for the berry cereals), and stir to combine. 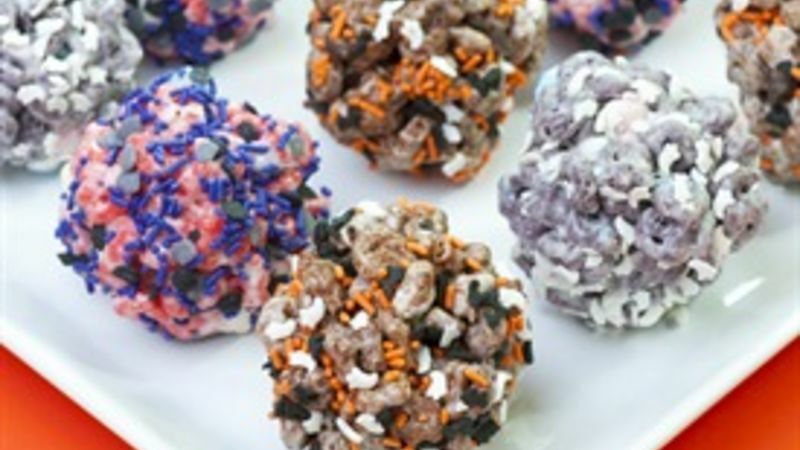 Using your hands, roll the mixture into 3 inch balls, roll in sprinkles, and place on cookie sheets or in muffin tins to cool. Repeat with the remaining two cereals, reheating the marshmallow mixture over low heat as necessary, to keep it warm and liquid. 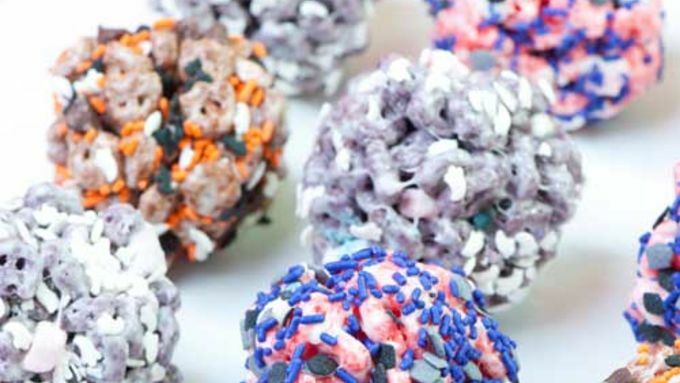 Roll each treat in sprinkles, and allow treats to cool before serving. October’s plenty busy. The kids’ school assignments are getting harder, football season’s in full swing and then there’s Halloween. You’re either making costumes, buying costumes or reinventing old ones. (Last year’s pirate, with bandana and fake earring, is this year’s gypsy!) Add in repeated trips to the store to buy candy, pumpkins, the pumpkin-carving tools you forgot when you bought the pumpkins and the ever-increasing vats of hair product you need to give your youngest son the perfect Bieber swoosh, and who has time to bake for the latest school fundraiser? No one. So don’t. Make something easy, on the stovetop, that takes less than 30 minutes. I speak, of course, of Monster "Mash"mallow Cereal Treats. Made with melted marshmallows, Count Chocula, Frankenberry and Booberry cereal, what’s not to like? And with Halloween upon us, what’s more seasonally appropriate than a “monster” cereal? Your kids will love these monster-themed cereal treats. Happy Halloween! Here are more tricks and treats for Halloween.